Welcome to the November 2018 edition of the ECOO newsletter! In this issue, we share some highlights from ECOO’s 2018 Autumn General Assembly in Malmö, World Sight Day 2018, an update on the latest developments at EU level, as well as on the latest developments in Bulgaria and Spain. Click here to read the November 2018 edition! 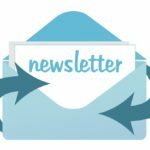 Welcome to the June 2018 edition of the ECOO newsletter! In this issue, we give an update on the latest developments at EU level, as well as on the latest developments in Italy, Norway and Sweden. Click here to read the new issue! Welcome to the March edition of the ECOO newsletter! In this issue, we give an update on the latest developments at EU level, as well as at the national level in Ireland and Croatia. Click here to read the new issue! Welcome to the November edition of the ECOO newsletter! The latest ECOO newsletter can be accessed here. Welcome to the July edition of the ECOO newsletter! The latest ECOO newsletter can be accessed here. Welcome to the March edition of the ECOO newsletter! Click here to access the document. We are pleased to bring you the latest edition of the ECOO Newsletter! In this issue, we look at what is on the EU agenda in terms of upcoming relevant legislation, and we also share an overview of a recent event organized in the European Parliament on preventable blindness and vision impairment. We also hear from our colleagues at the EAOO and the WCO. Finally, “Brexit means Brexit”, but what might the consequences be for optometry and optics? 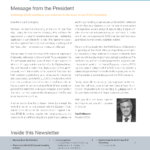 We are pleased to bring you the latest edition of the ECOO Newsletter!